(SOMEWHERE IN SAINT PAUL, MN) – Vignette: There is a Barnes & Noble’s near The Wife’s place of employment. Never one to pass up a good sale, I haunt the store for a few minutes while waiting to pick up Her Loveliness. In the magazine section, I am checking out the latest Mac mags, when this 50-ish woman comes alongside me to browse the Mac magazines also. Since she seems undecided over which one to get, I suggest a couple of my favorite magazines to her. 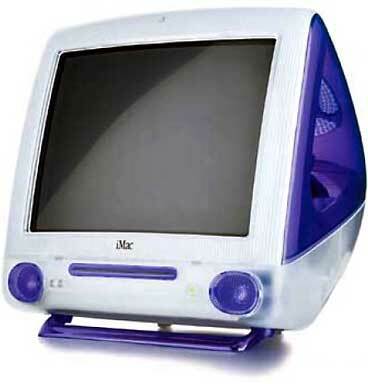 We strike up a conversation, and I find out she’s the proud owner of a Revision A 233 MHz iMac, but she’s having problems with her internet connection. Never one to leave a fellow Mac user in distress, I offer to help her get connected, but I immediately wince mentally, since I am used to where I come from (Louisiana), where young black males just don’t dare offer to come into the homes of genteel white women. I was surprised that she accepted so readily. To make it a safer visit (in my mind, anyway), I tell her that I have to pick up my wife before stopping by. A few minutes later, my gracious wife, who is by now used to my “picking up strays,” is sitting in the living room gabbing it up with Joan’s husband while I tend to her sick iMac. I check her Remote Access control panel – ditto for TCP/IP, etc. I compare the settings with the letter she has from her ISP. She can receive email, but she can not reply. I check her outgoing mail settings and see nothing wrong. Not wanting to keep my wife waiting, I promise to stop by tomorrow. In a nutshell, it seems her ISP changed servers without informing their customers. Mystery solved. Vignette: I don’t remember the date, but I remember the occasion. I’m a member of Toastmaster’s International, a non-profit group where members learn to give speeches and to develop leadership potential. On this particular day, I am giving a speech. The type of speech is Keynote Address, according to my speech manual. It was the same day that the Power Macintosh G4s were introduced, so I gave speech that was understood to be to Apple Computer shareholders. Many of the members of the club know of my Mac affinity, even though I get poked at a lot about it by PC-using club members. I never considered it evangelizing, just discussion about my favorite topic. Since most members are online, I also gave speeches about ECHELON and Palm computers. Unbeknownst to me, I was planting the seeds for future Mac conversions. A couple of nights ago (weeks after my “keynote address”), a couple of members asked me about Macs. One owns a home business and is sick of their new PC crashing over and over. The other person uses PageMaker at work (on a PC), while her husband uses Quark at work (on a Mac) – hmmm, a mixed marriage, I thought to myself. Anyway, they wanted further info on the Mac. I recommended a G4 to the business owner (to continue using their PC programs until the transition is complete). To the other, I recommended an iMac DV. I reassured them both that they wouldn’t regret it. Time will tell, however, if they take my advice and make the plunge. There are many other instances like this that I could relate to you, but I felt these were representative of the Mac community we are a part of. On MacSimple (If You Agree With Everything I Write, Then You’re Not Thinking) I suggested that Mac users should become more accepting of PC users. The second vignette clarifies why I said that. I never try to bash the PC (intentionally), but I never apologized for using a Mac either. I make sure that people know what I use, in what I hope were appropriate settings and with appropriate word choice. I don’t try to convince people to buy Macs (anymore) when my advice is unsolicited. But, if ever asked, I will let them know with deep sincerity that I am the productive person that I am today with because of my Mac – far more than I could ever be with a PC. I would like to think that if they do make The Switch, it will be because they saw value in what I said, but they also felt that I didn’t try to pressure them into making the change, either. I don’t know if you’ve ever heard of Georga Barna. His Barna Research Group is the premier place for stats on the Christian community and evangelism. One stat that I remember divulged by his organization is that more people are converted to Christianity through personal evangelism (one-on-one sharing of the Gospel) than any other type of evangelism. Since I think the parallels between religion and the Mac community are numerous enough to be scary, it shouldn’t be any surprise that I believe this particular statistic also explains why people switch to the Mac platform. I think more and more people – people like my Toastmasters friends – become Mac users through the witness (for lack of a better term) to the “faith” presented by Mac users like you and me. This is an important, yet overlooked statistic. I don’t think Apple Computer realizes this to the degree that you and I do. Sure, Apple’s current product line can sell itself. Sure, Apple has great marketing and advertising nowadays, but who mans the user groups? Who works the Demo Days? Who creates the plethora of Mac websites? You and I. We are the people in the trenches. These people need to be thanked. That is what I want to do today. This column is for you, on behalf of Joan and the others who depend on us for help and support. The Mac is the computer for the rest of us, but it isn’t perfect, and new users need some hand holding from time to time. We give it – gladly. So this week, I will spare you and will not rant and rave about anything in particular. Rather, I will mouth a simple “thank you” to you guys: our dear readers, our friends, our fellow “believers.” You know who you are. We have much to be thankful for. And so the Mac users who depend on us for daily information and occasional troubleshooting help. We should think about it more often. After all, ’tis the season.